Most of the bodies has a complex structure, because they consist of different substances. Therefore, to find their density using tables is almost impossible. To get an idea about their structure, use such a thing as an average density, which is calculated after measuring the mass and volume of the body. - table of densities of various substances. If the body does not consist of the same stuff, find it with weights its weight, and then measure the volume. If it is fluid, perform measurement using the measuring cylinder. If it is a solid (cube, prism, polyhedron, sphere, cylinder, etc. ), find its volume by geometric methods. If the body is irregular in shape, submerge it in the water, which poured into the measuring cylinder, and its ascent will determine body volume. Divide the measured mass of a body on its volume, the result is the average density of the body ρ=m/V. 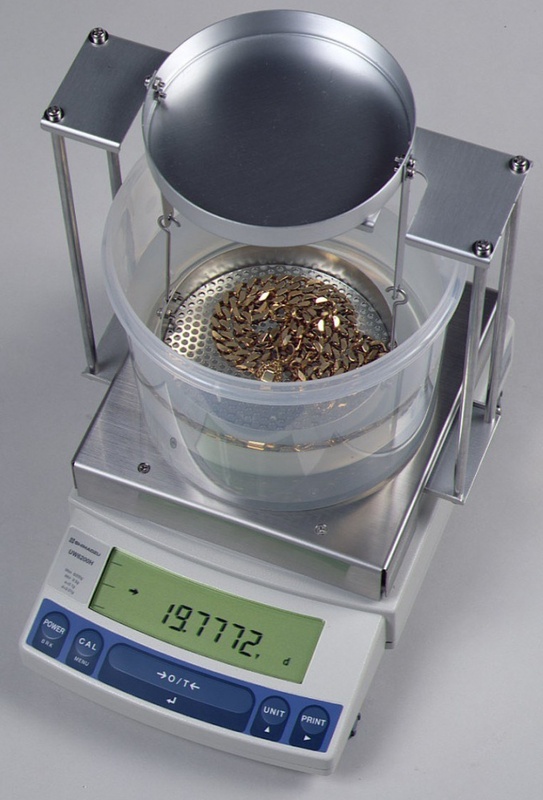 If the mass is measured in kilograms, volume in m3 Express, if in grams in cm3. Accordingly, the density is obtained in kg/m3 or g/ cm3. If you weigh the body is not possible, find out the density of the materials of which it is composed, then measure the volume of each part of the body. Then find the mass of materials which compose the body, multiplying their density on the volume and the total volume of the body, adding the volumes of its constituent parts, including voids. Divide the total mass of a body on its volume and get the average density of the body ρ= (ρ1•V1+ ρ2•V2+...)/(V1+V2+...). If the body can be immersed in water, find its weight in water with the help of dynamometer. Determine the amount of ejected water, which is equal to the volume submerged in her body. In the calculations, keep in mind that the density of water is 1000 kg/m3. To find the average density of the body immersed in water, to its weight in Newtons, add the product of the number 1000 (density of water) on the acceleration of gravity 9.81 m/S2 and the body volume in m3. The number you divide by the product of the volume of the body and of 9.81 ρ=(R+ RV•V•9,81)/(9,81• V). When a body floats in water, find the volume of the ejected fluid, the volume of the body. Then, the average density of a body is equal to the ratio of the product of density of water on her body ejected the volume and of the volume of the body ρ= RV•V/Vт.